I am Dr. Amber Rychik from Milestones Wellness Center in Artesia, New Mexico. Kasey Nez has been my patient for approximately four months, and before that was a minor and was counseled as such. His recent worstening in condition was called to my attention by Sandra Duvall, the patient's girlfriend. She contacted me and told me that Kasey has, in the time she has known him, begun to abuse prescription painkillers to a previously unparalleled extreme. My patient never spoke to me about this before her phone call, but once I mentioned it, divulged all. Kasey's younger half-brother was recently sent to the Hadley Institute for the purpose of rehabilitation in his own mental illnesses, and since, my patient has begun to foster a sense of uselessness. He was always instrumental in keeping his brother alive, and now that he is not, he has no purpose, if you will. The drug abuse has been going on less severely for approximately two years; it began when the patient stole pills from his mother after her back surgery. In addition to this problem, Kasey suffers from extreme excitability and nervousness which was in the past diagnosed as ADHD. I believe, however, that he has a largely manic bipolar disorder which only trends downward a few times per year. When I changed his medication to that effect, it seemed to make him less hyperactive, so I suspect my diagnosis is correct. Kasey recently spent some time in our facility, but it was short and minimalistic. His diagnoses are as follows: bipolar disorder and class C drug abuse. Directly after his release, my patient attempted suicide via overdose, but was found in time by Miss Duvall. He was then admitted to our facility again, where he now resides. My patient's childhood was extremely troubled. He grew up in Gallup, New Mexico with his father and younger half brother, Jackson. The father of the boys was afflicted with antisocial personality disorder, and was extraordinarily abusive. He forced Kasey's mother out of the house on penality of her son's death when the child was only two, and then remarried. He forced his second wife out when her child was four by the same means. When they were adolescents, Mr. Nez derived his entertainment by forcing the two boys to fight at gunpoint. He also physically abused them himself, but kept the marks discreet. Eventually, the abuse was discovered by a teacher who called CPS. The brothers were discussing this one night when their father overheard and set about to kill them execution style. The two teens, however, put up a fight, and the gun discharged thrice in the shuffle and killed Mr. Nez. Until his eighteenth year, Kasey then resided with his mother. These events have contributed significantly to the detriment of the mental health of the patient. Kasey was separated from his mother between ages two and fifteen. Kasey and Jackson are quite close, which is serendipity, considering the physical harm they were forced to inflict upon each other during their upbringing. Kasey played a large part in raising his brother, which may be a factor in the closeness. They always relied heavily upon each other. Kasey attended public school and received average grades trending on the poorer side. According to him, he was well-liked by everyone and had a better time of school than of anything else in his life. The patient is heterosexual and developed normally in regards to interest in females. After the death of his father, Kasey was admitted for psychiatric evaluation. It was a relatively short stay. Kasey has never been convicted of a crime, but was accused of murder after the accidental death of his father. He and his brother were acquitted after a controversial trial. The patient has been addicted to prescription painkillers for approximately two years. I cannot speak for my patient, but my hopes are that he will find some sort of purpose and regain his will to live. Additionally, he needs to conquer his addiction. More treatment is necessary for him than I can provide here. Your facility will be more apt in providing the care my patient needs. 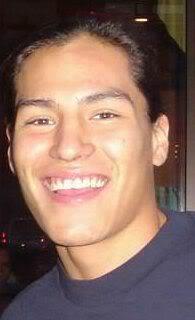 Kasey Eli Nez was born to Charlotte and Eli Nez in Gallup, New Mexico. His early childhood and disorders have been explained above. Since he has moved out of his mother's house, he had maintained a relationship with Sandra Duvall, with whom he lived before his hospitalization. The patient is social and generous. He is extremely impulsive and becomes frustrated quickly. He was employed in an automotive garage, but after the event of his suicide attempt is no longer. Hobbies include fixing cars and playing the guitar modestly well.